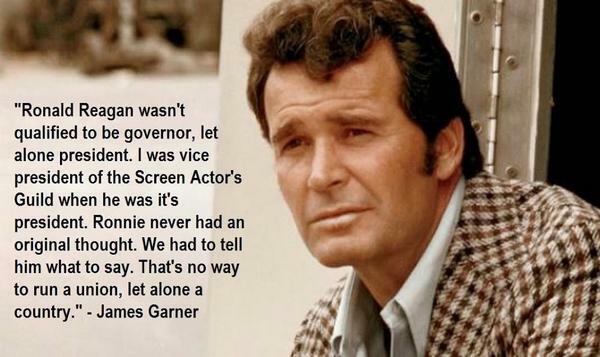 James Garner knew Ronald Reagan well and his assessment of Reagan mirrored observations by people like the late Margaret Thatcher, a former Prime Minister of Great Britain, and many members of Reagan’s own administration. Knowing that Reagan had his finger on the nuclear trigger still gives me a chill up my spine. This entry was posted in Politics, U.S.A. and tagged James Garner, Margaret Thatcher, Ronald Reagan. Bookmark the permalink.